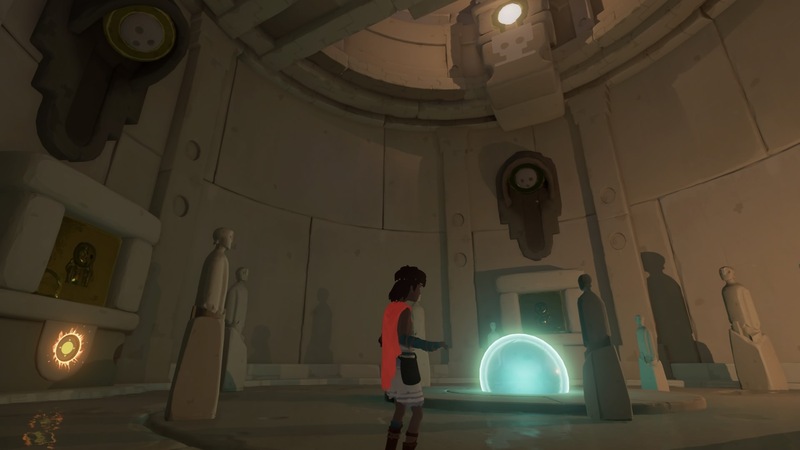 The RiME puzzle guide continues into Chapter 2, covering all the tricky challenges that cause the kid problems hidden in the ruins of an ancient civilization. 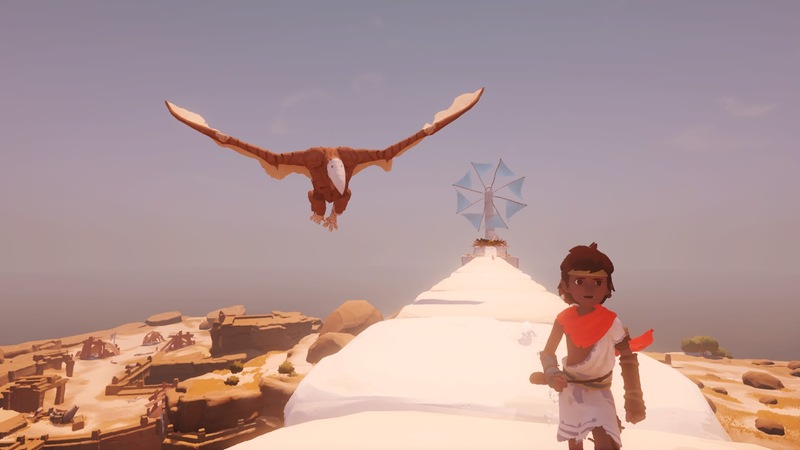 The kid is transported to a vast arid desert in Chapter 2 -- you'll have to dodge an angry bird of prey while exploring abandoned catacombs. 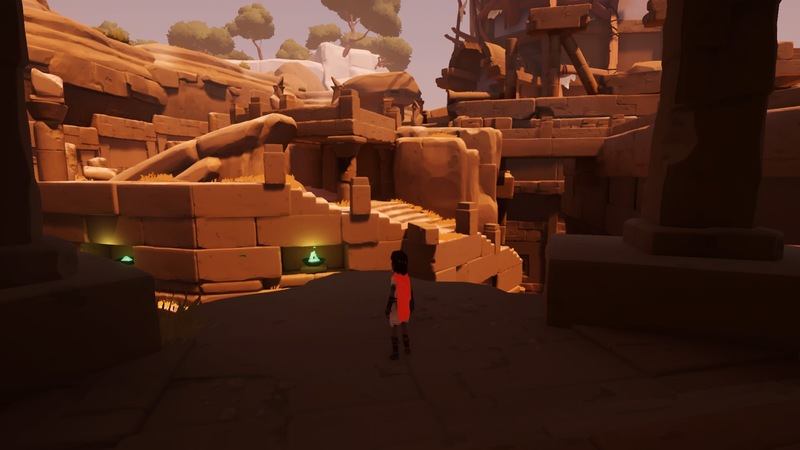 Rather than puzzle your way to the giant tower, you'll start there and work your way around the open area until you can reclaim the solution to a particular puzzle. There are plenty of threats to face here, including new types of head-scratching puzzles. 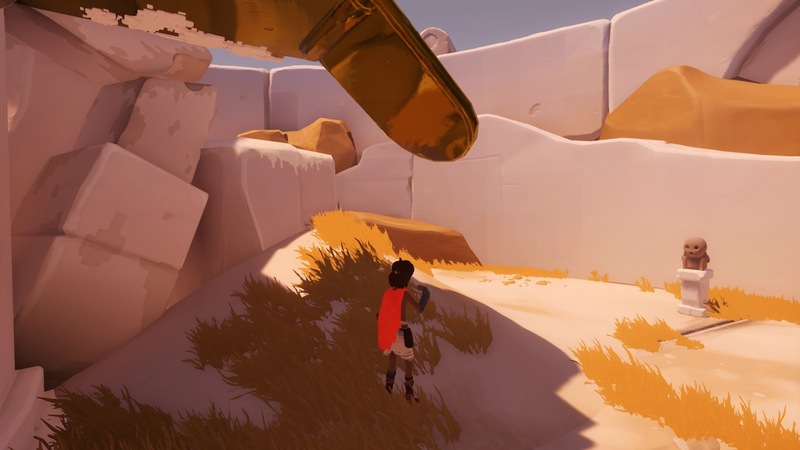 We'll walk you through each one with simple instructions and screenshots. When the kid wakes up, he's surrounded by creepy salt statues. Leave the temple, and outside you'll find another sundial device. 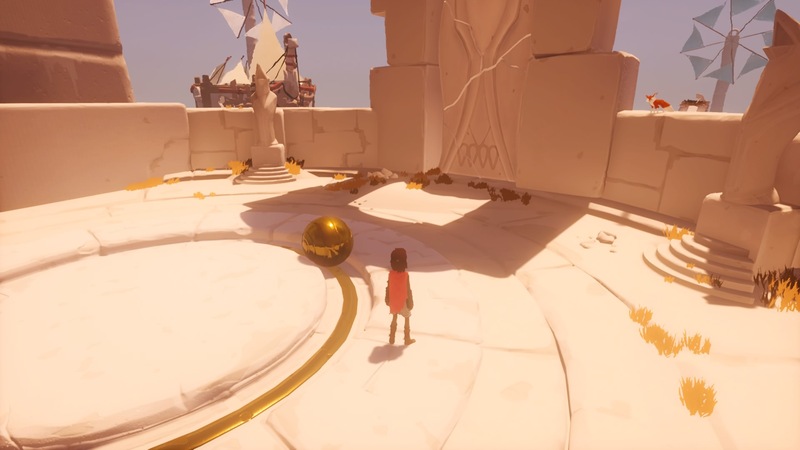 Push the gold orb - it won't be long before a deadly bird steals the orb away. The bird returns to its nest at the far end of the long desert bridge. 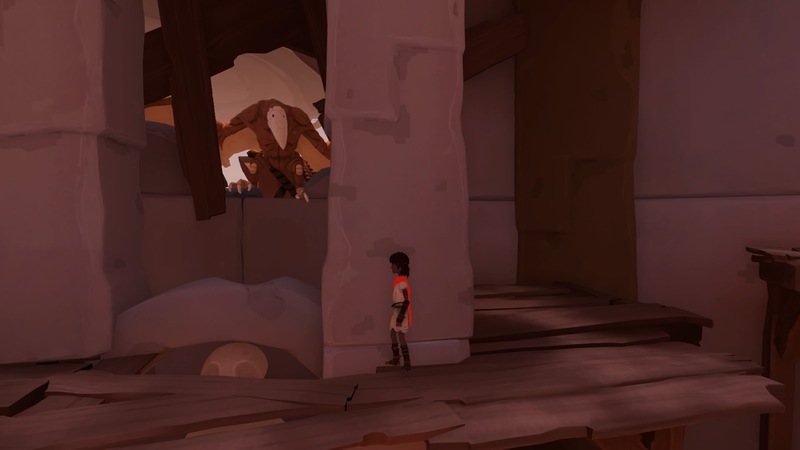 Approach, and the bird will attack, forcing the kid to hide in the ruins below. 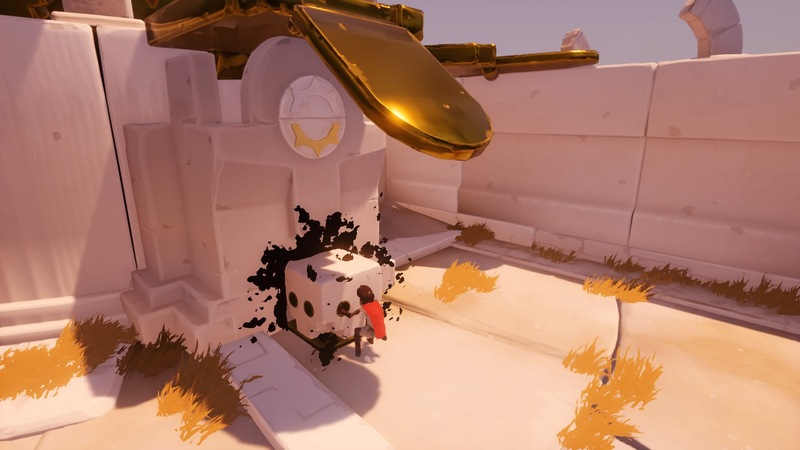 In the open dunes, the angry bird will swoop and attack if you stay out in the open too long. 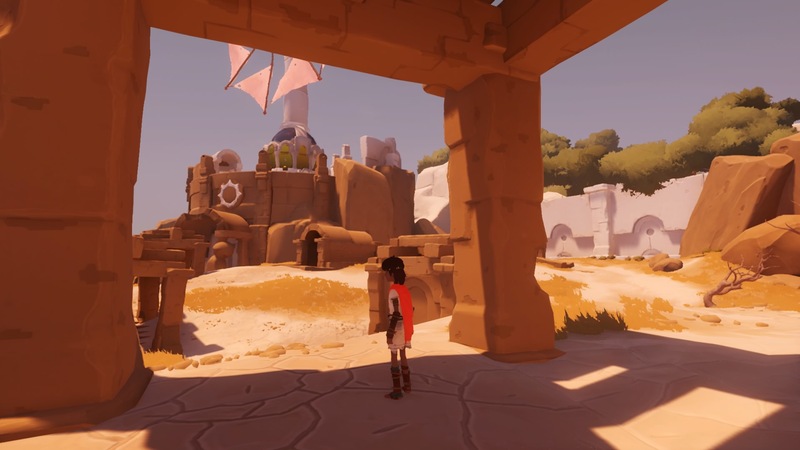 Stay under the shaded areas, inside the ruins, and run toward the windmill in the distance. The screen will slowly fill with red when the bird is hunting you. The windmill door itself is locked. 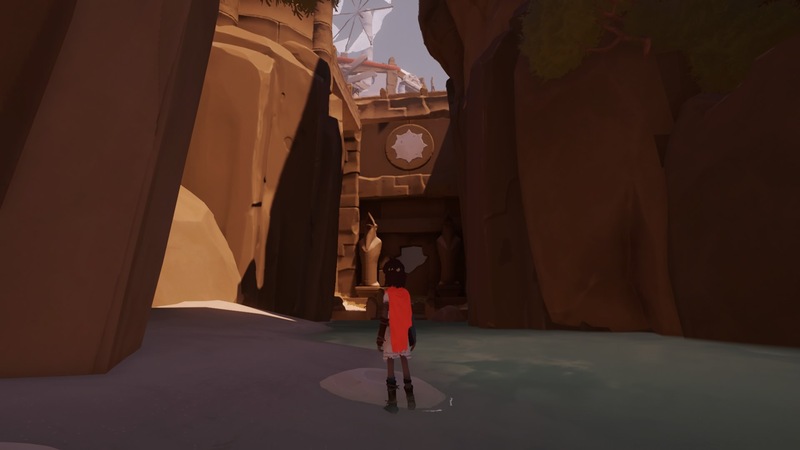 You'll need to obtain a key - from the windmill door, continue toward the shore. 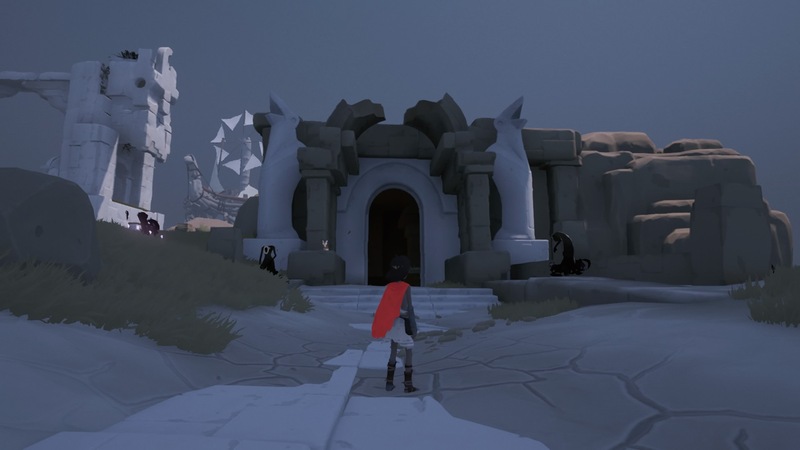 There's a large half-circle roofed ruin that leads down into a dark catacomb. The fox will bark and signal you to look inside. The Windmill Key: The key is located underground - enter the ruin where the barked fox is waiting near the entrance. Down below, you'll encounter a strange puzzle. 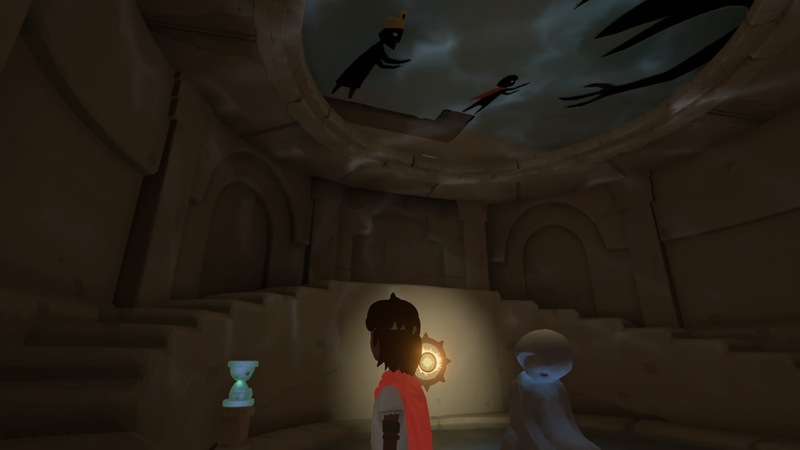 The spirit statue in the center is looking at the kid. Shout to draw it's attention. When you shout, it will turn to face you. Stand on the left, shout, then move ahead, then shout again until you reach a path to the key. Use the right exit (from the key) to return to the surface and run back to the locked windmill door to gain access. 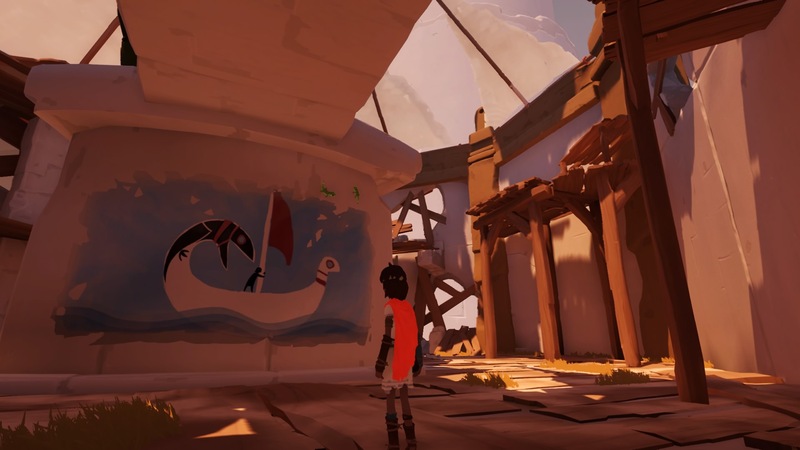 According to the murals, the windmill is how you'll scare off that killer bird and regain the lost gold orb. 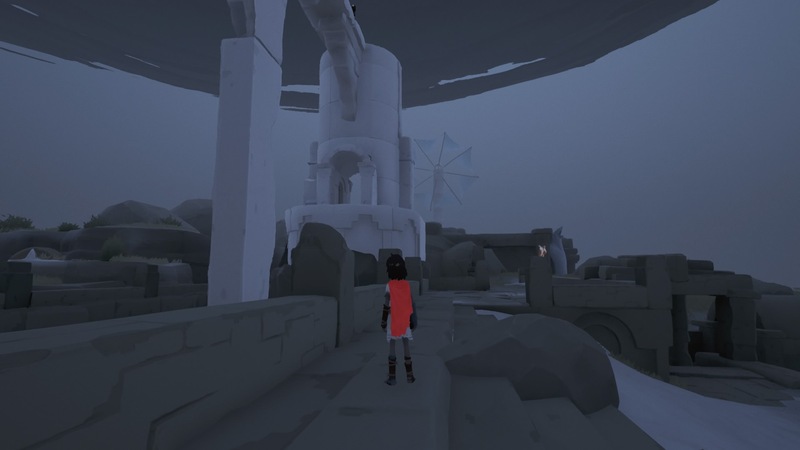 Inside the windmill ruin, shout to activate the first soul statue and enter the open door up the steps before it seals again. Upstairs, you'll reach an orrery - a model of the Earth and the sun. To solve the puzzle, shout so the shadow of the Earth covers the sun marker to the left of the exit. 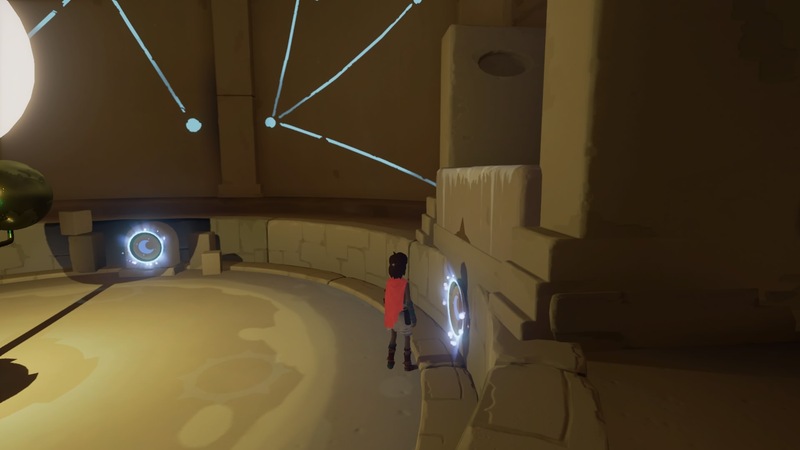 That causes the chamber platform to lower and reveal a second sun marker. 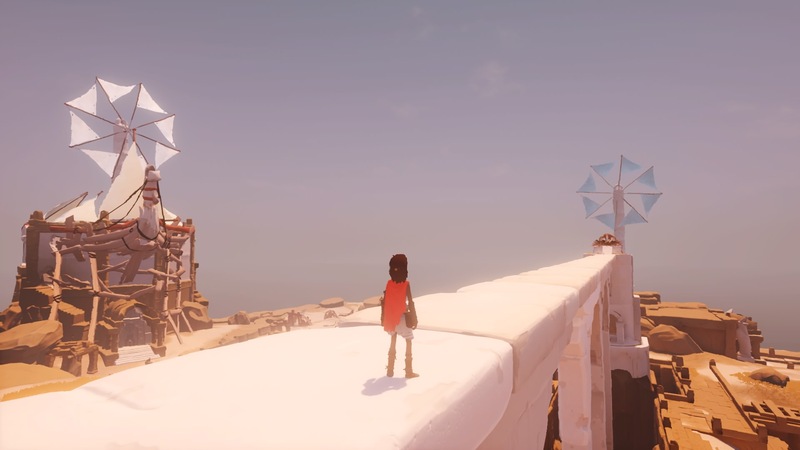 Simply stand near the sun marker to project the kid's shadow, and the exit platform will lower. 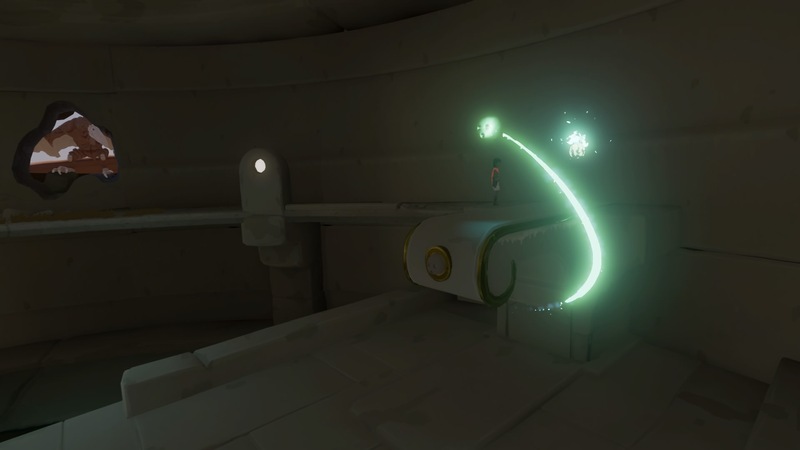 Jump onto the platform and ride it up to leave through the high door. Up top, you'll be exposed to the elements. Shout at the soul statues to lower golden awnings, making it possible to hide from the bird. 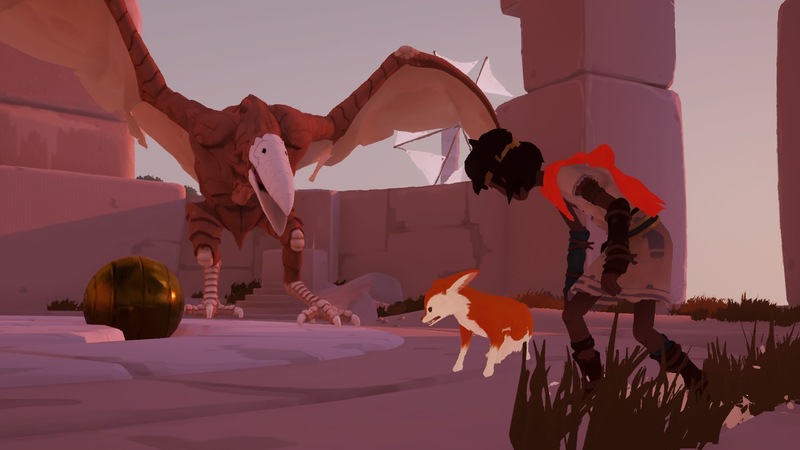 Pull the crate near the crate-marked wall - it'll take some time, so make sure the gold awning is lowered or the bird will get you! Use the block to jump the wall, then rush to the soul statue and shout, lowering more awnings the kid can hide under. 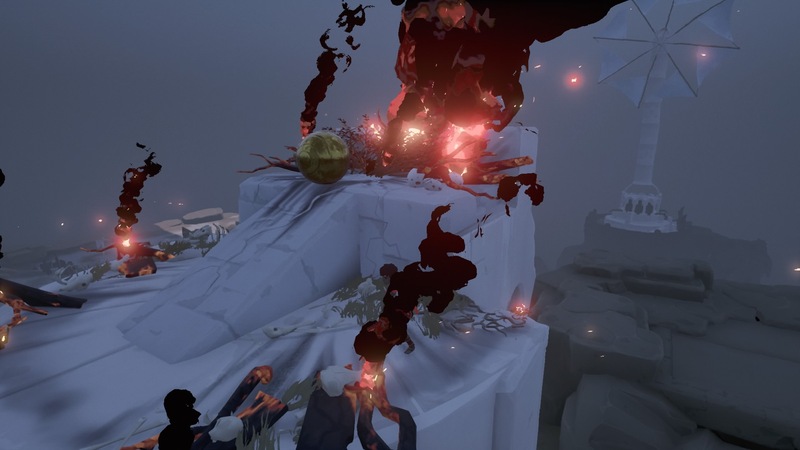 Find the ramp and jump across the gold sections until you can drop into a new area - once again, rush to the soul statue and activate it before the bird gets you. Pull the second block to release a storm cloud that zaps the bird, making the area safe - for now. The storm drives the bird away. 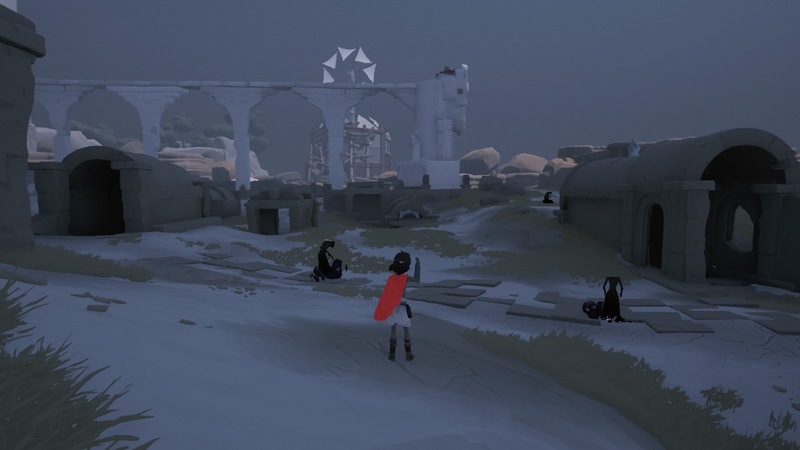 To progress, go toward the cliffs facing the shore and move left until you find a large ruin entrance surrounded by shadows. Your fox friend will bark to draw you closer. The underground path leads down and around to the beach. Out on the beach, the sun is shining bright. There's no way to walk to safety. Look in the distance to spot boats on the shore - but there's no place to hide. You'll have to use the ocean. Jump in the water and start swimming. Dive low, and swim into the air bubbles to get more precious oxygen. 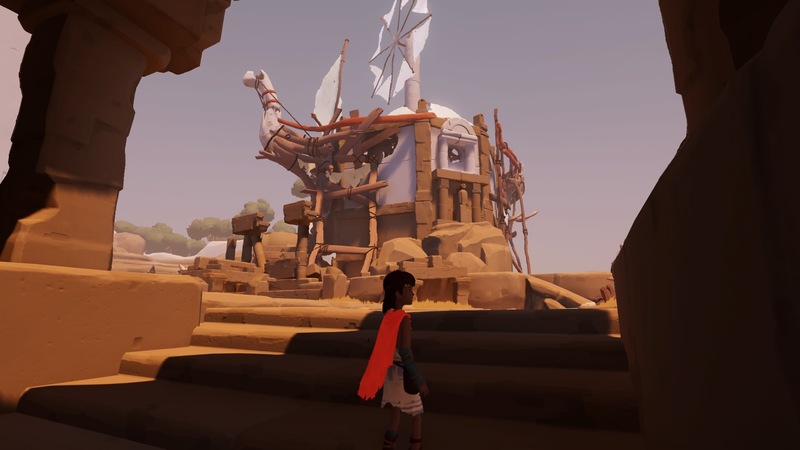 Like before, you'll need a key to enter the windmill tower on the island. Let's go after that key now. 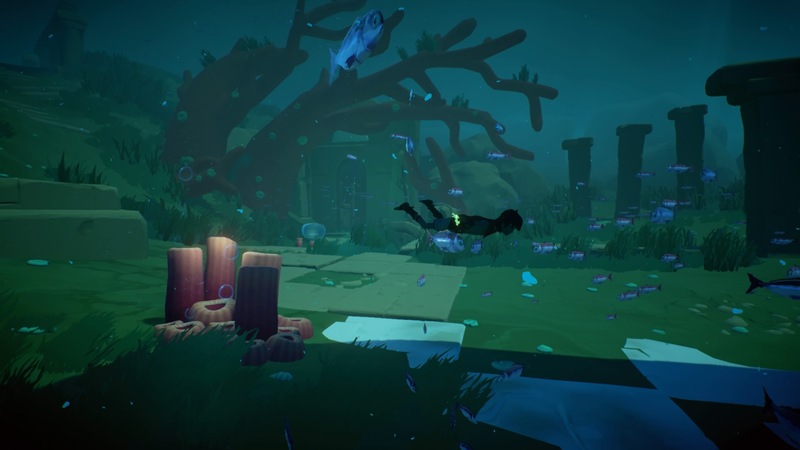 The Windmill Key #1: Underwater, look near the submerged statue square. 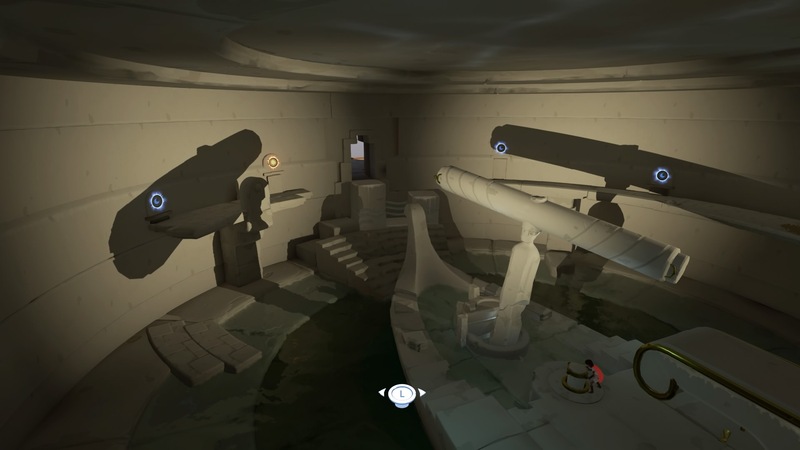 There's an underground (underwater!) ruin path that's marked with water bubbles. Swim inside and you'll appear in a chamber with the windmill key. The Windmill Key #2: The second key is located in the ruin entrance marked with a corral reef, to the left of the underwater windmill entrance. Swim inside, then shout so the pillar swivels toward the top of the spiral stairs. 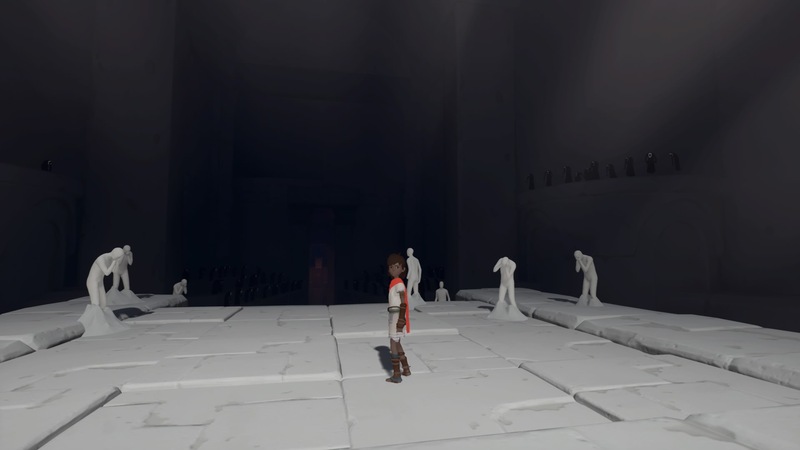 Stand on the opposite side when you shout - the spirit statue is facing the opposite direction. 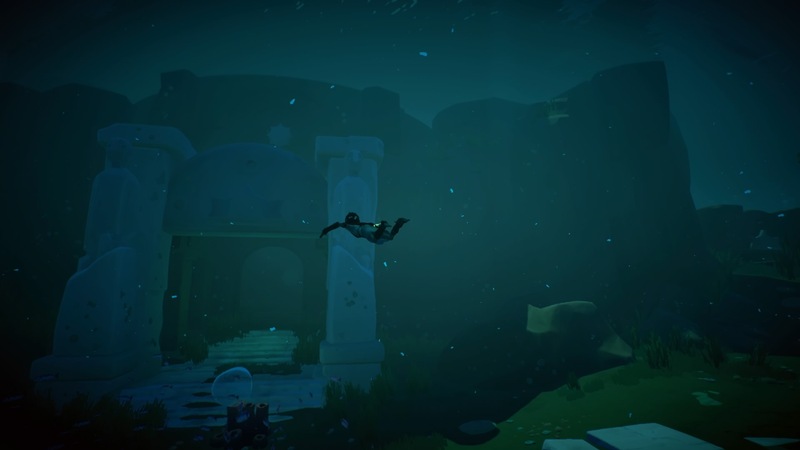 Swim into the underwater windmill entrance - it's the largest door, located between the two key ruins. Insert both keys to gain access to the second windmill tower. 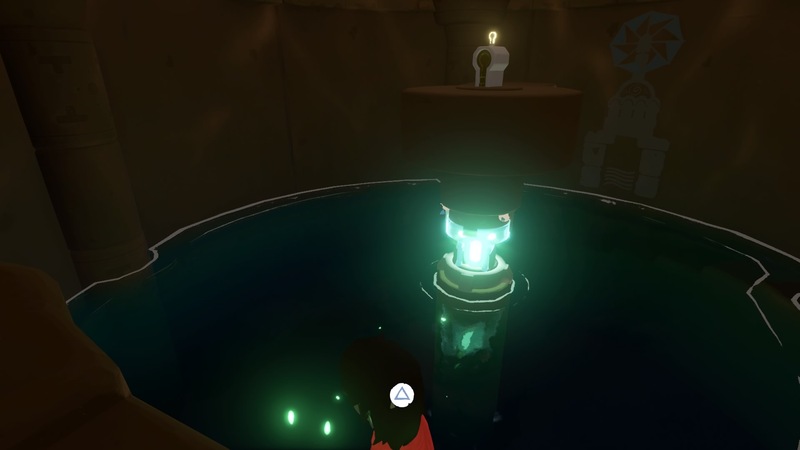 The first puzzle inside the windmill tower features a movable light source on a crate. 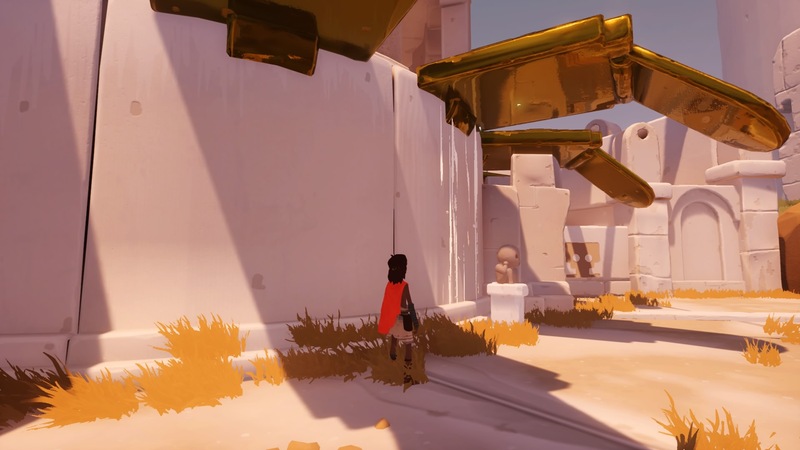 Move it between the two large statues so that the shadow statues cover all three sun marks, all at the same time. Check out the image posted above for an exact location. 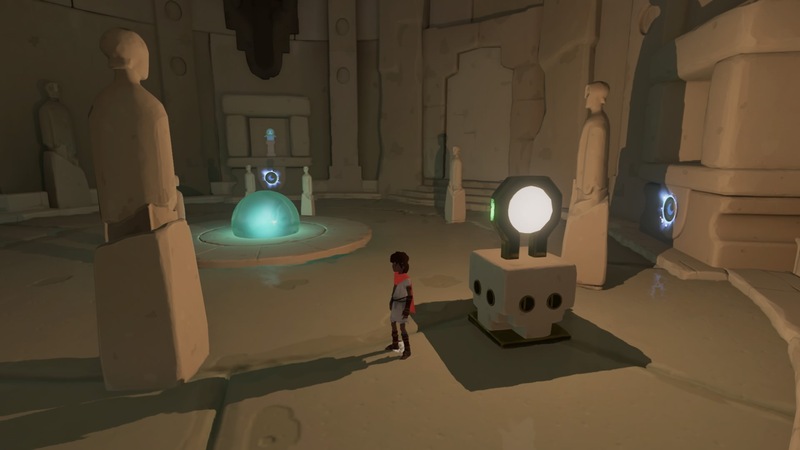 When all three sun markers are in shadow, shout at the amplifier orb to activate all three revealed soul statues, activating them simultaneously. 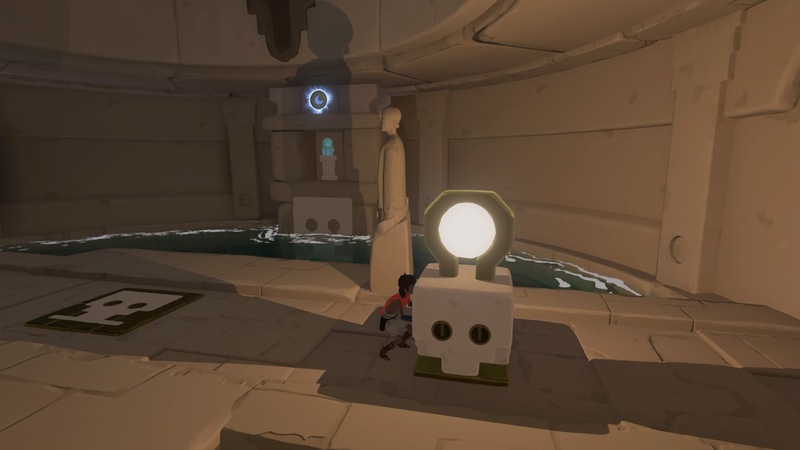 Up above, you'll reach a second keyhole puzzle that can't be solved yet. Exit and look left - climb up the handholds and hide under the lowered gold awning, then pull the first block from the wall, releasing some of the storm. You'll have just enough time to pull it. When the crate is pulled out, it'll drop down near the keyhole puzzle door. 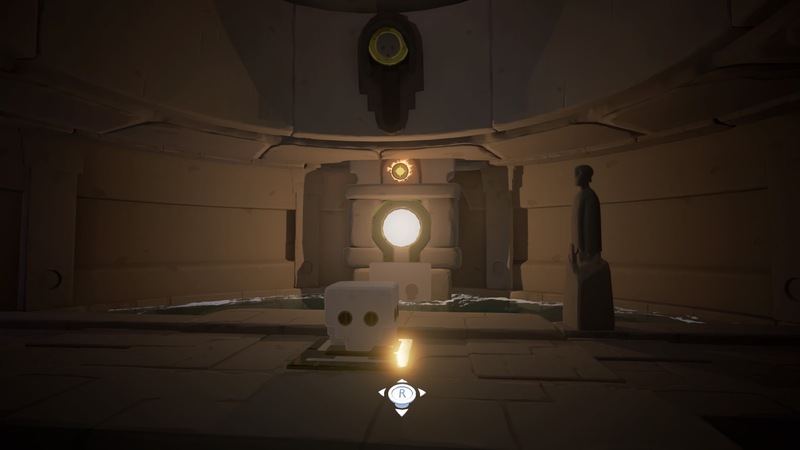 Drag the crate back inside and place it on the block marker, then use the keyhole device and align the gold section - you'll get a light source orb on a movable block! 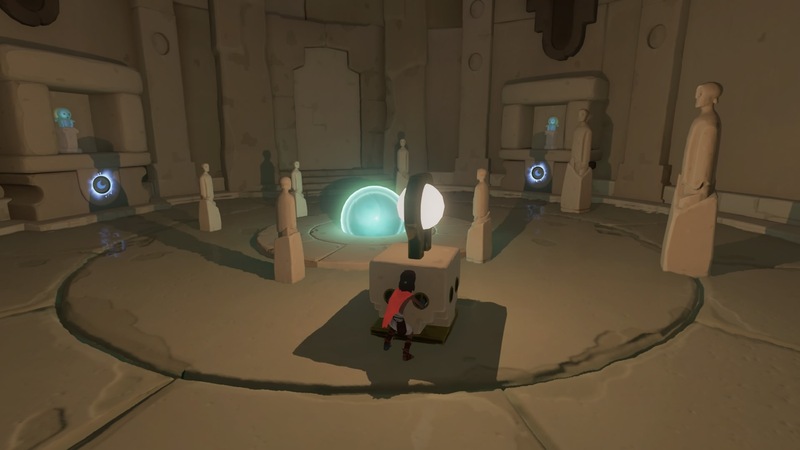 Move the block so that you project a shadow onto the sun marker, then shout to activate the revealed soul statue. Water will rise again. 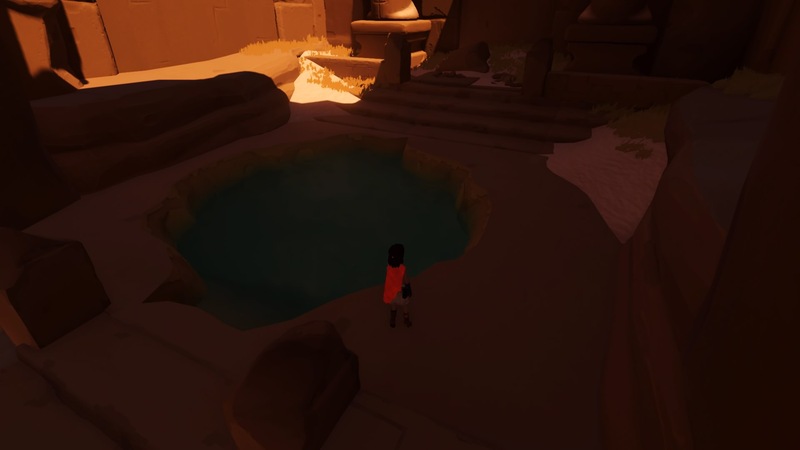 Use the water to stay out of the bird's sight and reach the steps to the left. 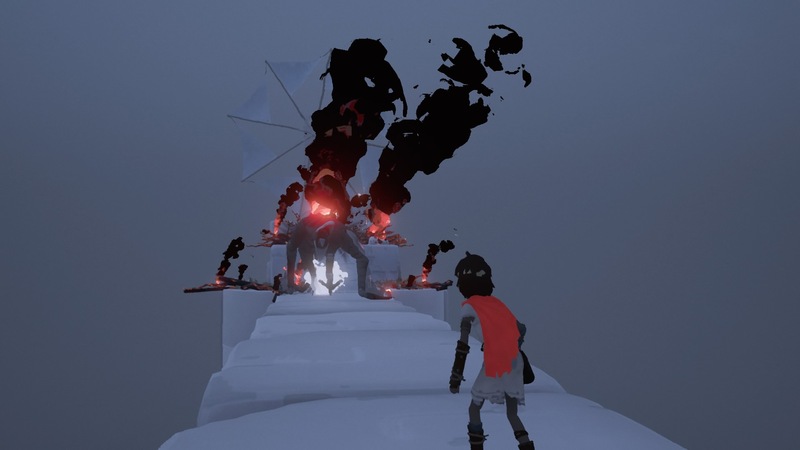 Now you can reach the second block, release the storm, and escape the bird for the second time. To progress, swim toward the shore with the ruined boats and enter the narrow canyon. 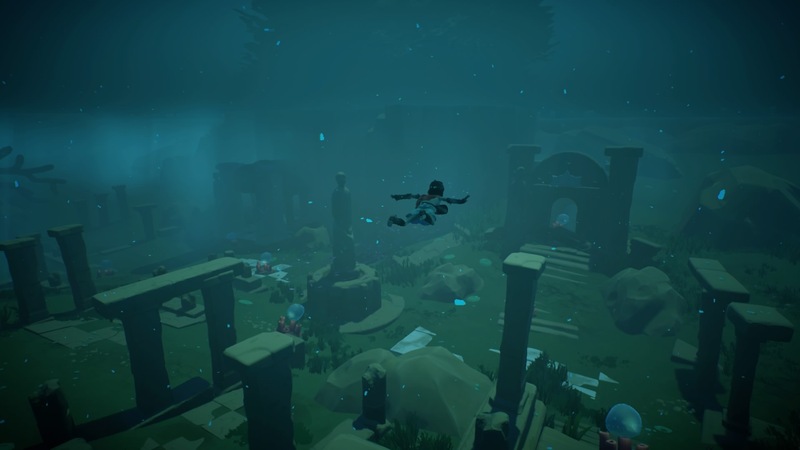 Dive into the water at the ruins and swim through the tunnel to reach the interior. 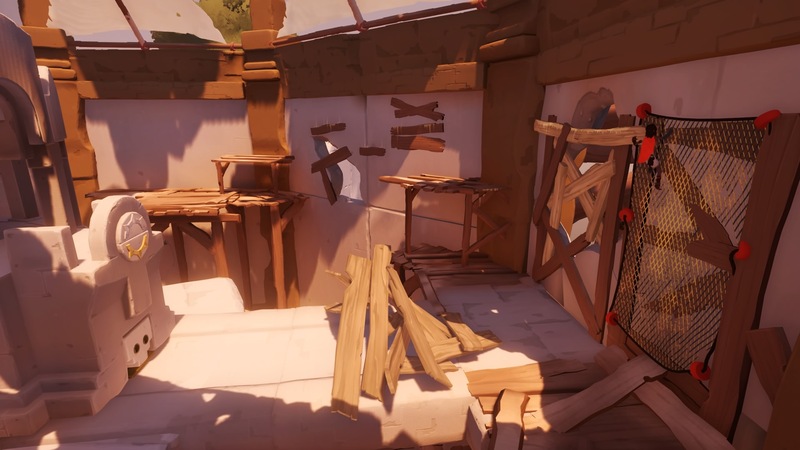 Popping back up near the third windmill tower, you'll find another challenge - the wooden shacks the kid can use to hide will break! 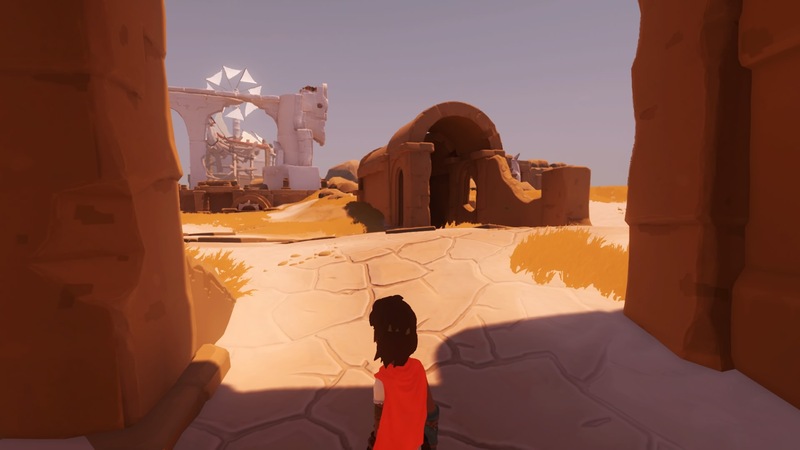 You'll have to rush across the dunes to each of the three structures to reach the first stone hiding spot. Sprint from the stone to another wooden structure and jump the gap into the ruin built into the cliff. Follow the fox through the passage and out into a complex series of structures carved into the excavated walls. 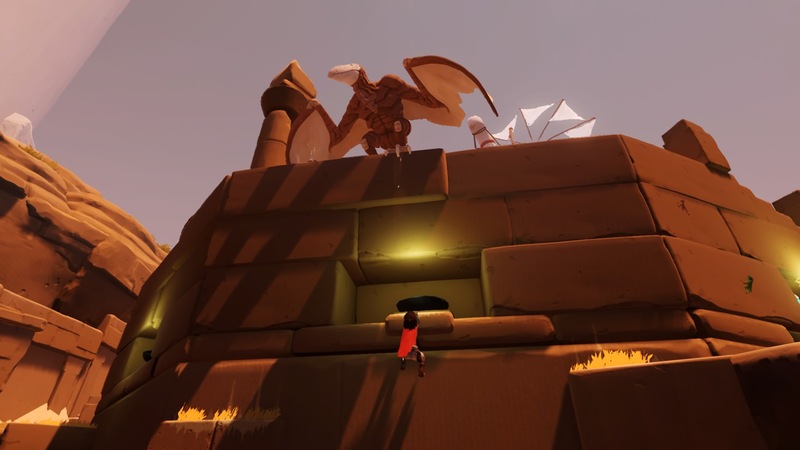 Shimmy left - the bird will show up, looking for you - climb up and rush to the stone hideout. From the stone, take the lower path (not the stairs leading up) and use the chalk marks to lead the way up to the top. Rush to the closest tunnel, leading to a bridge. 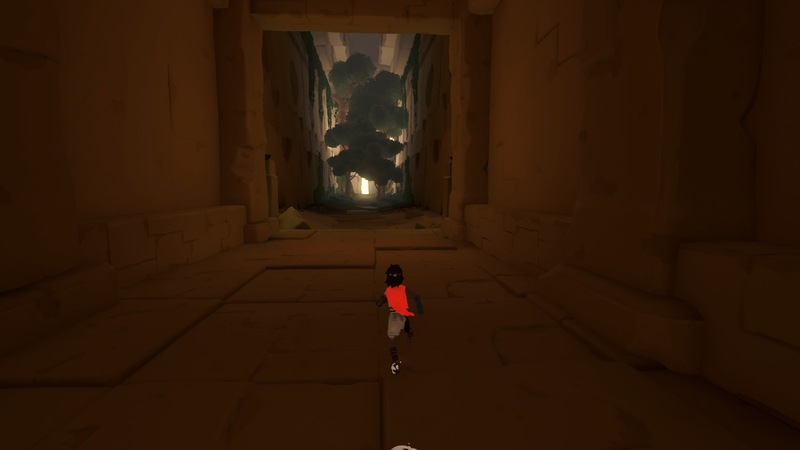 Jump onto the path with the stairs to the left of the bridge, then climb up and around. On the path to the windmill tower, the boy stumbles onto a stone ship in an interior room. 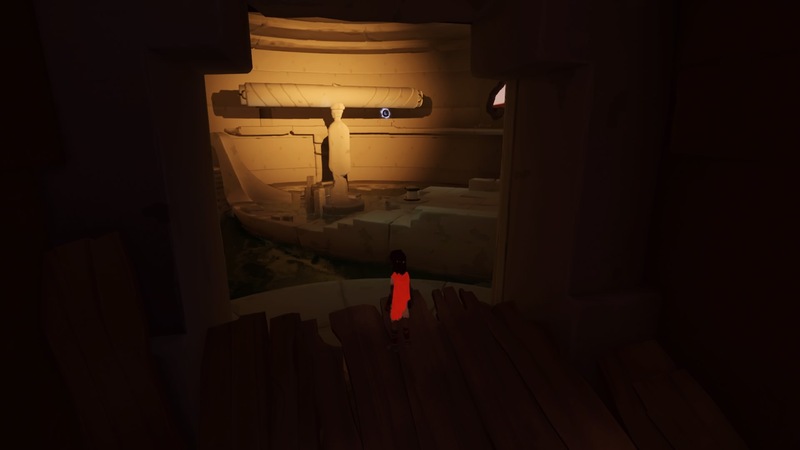 Climb onto the stone boat, then use the turntable to adjust the stone mast. 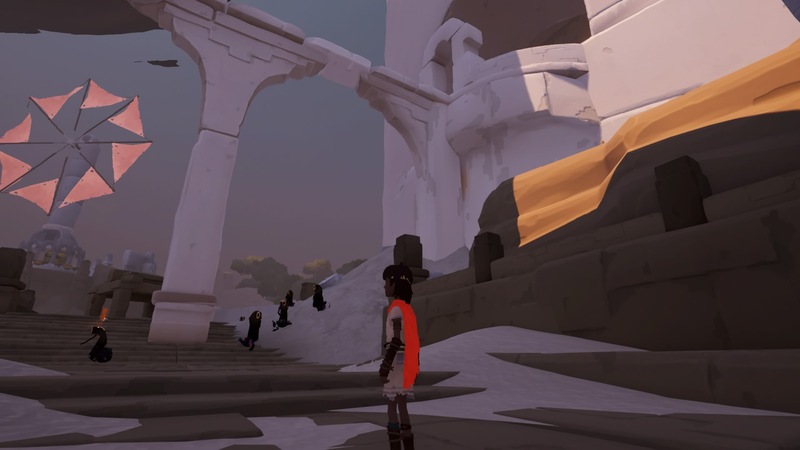 Make sure to cover the left-most sun marker with shadow to raise the platform - climb up to the right walkway and shout at the spirit statue. When the platform extends toward the stone mast, jump to the mast and grab the gold section to bend the stone mast. Use the turntable again to cover the first, third, and fourth sun markers with shadow, leaving the second marker in the light. That way, you'll be able to climb up to the open exit door. The stairs lead up to the windmill interior. Use the stairs, and you'll get an early look at the block! But, you can't reach it. Jump onto the wood and it will crumble. Back on the scaffolding, the bird will shout - if you're not hiding behind a pillar, the screech will knock the boy off the scaffolding. Jump from the pillar, and the floor will crumble. There's a net you can use to continue climbing up. Up above, use the second net and climb across the white chalk board - the bird will bust through the window and shout, smashing the debris blocking the second block. Pull the block and release the storm to drive off the bird. Now you're free to use the block and hop up onto the scaffolding. Use the wooden beams to shimmy and jump. You'll reach the stones supporting a scaffolding - shimmy, hop, and you'll be able to pull the first block. 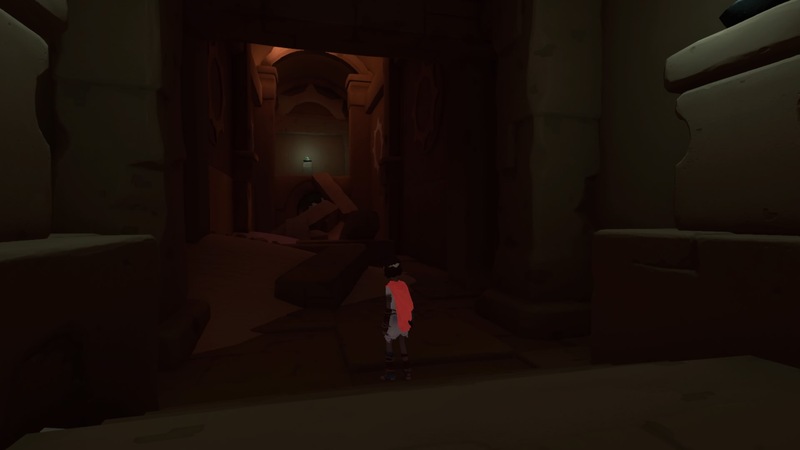 From the windmill door (that leads into the stone ship puzzle) go left and down the stairs to reach a tunnel with pillars you can use like ramps. Exiting out near the massive white tower, the fox will lead you along a huge trench. Follow the fox and climb the platforms back up onto the bird's nest. 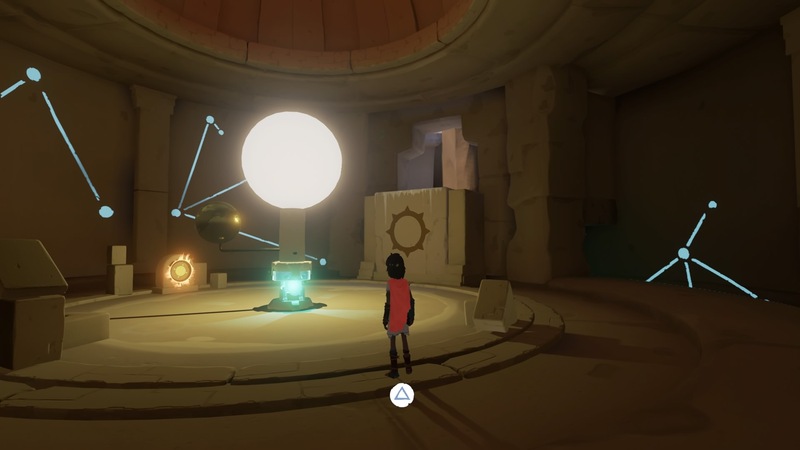 Now that the area is blanketed by storm clouds, you'll finally be able to retrieve the gold orb. 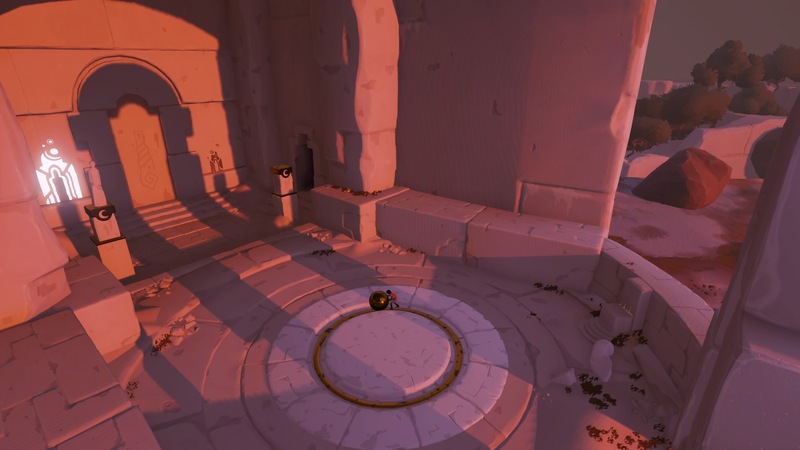 At the nest, push the ball and sprint back to the first puzzle in the chapter. 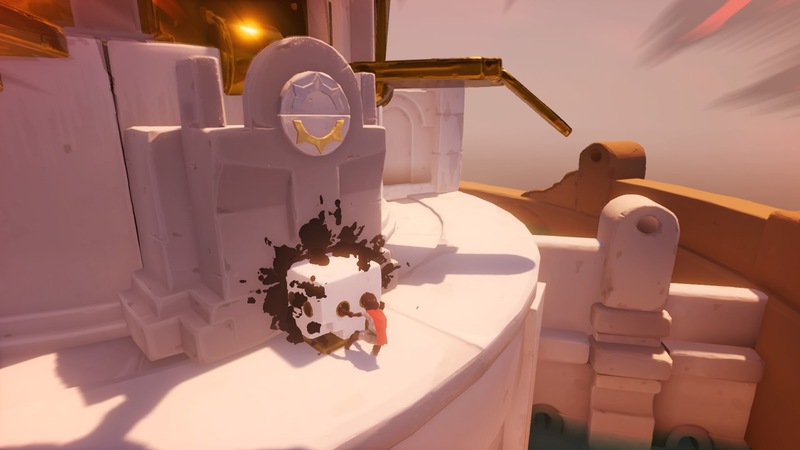 With the gold orb back in place, adjust the sun so the shadow is projected on the image to the left of the tower door. 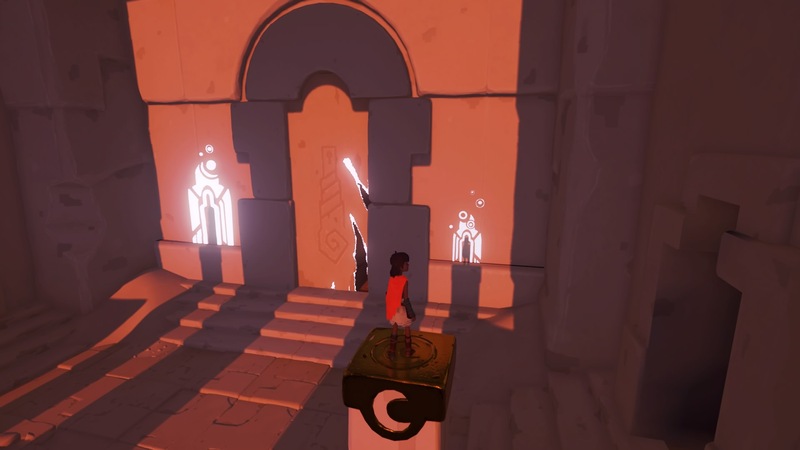 Stand on the right platform to complete this puzzle, and finish Chapter 2. 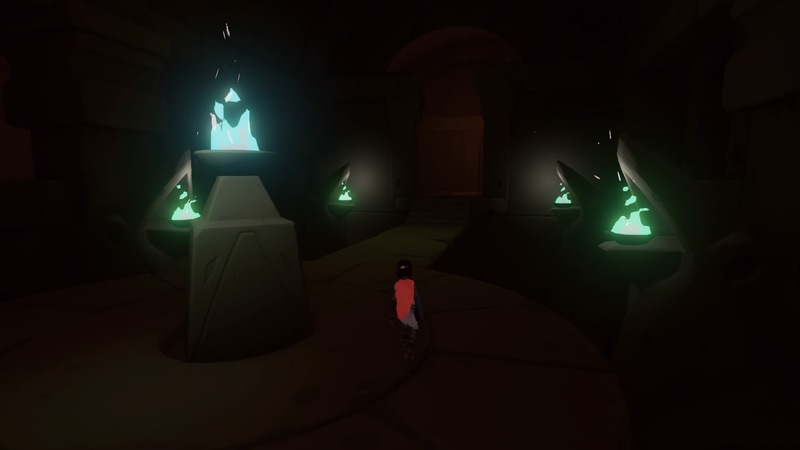 Inside the tower, follow the spiral stairs up and enter the doorway to Chapter 3.